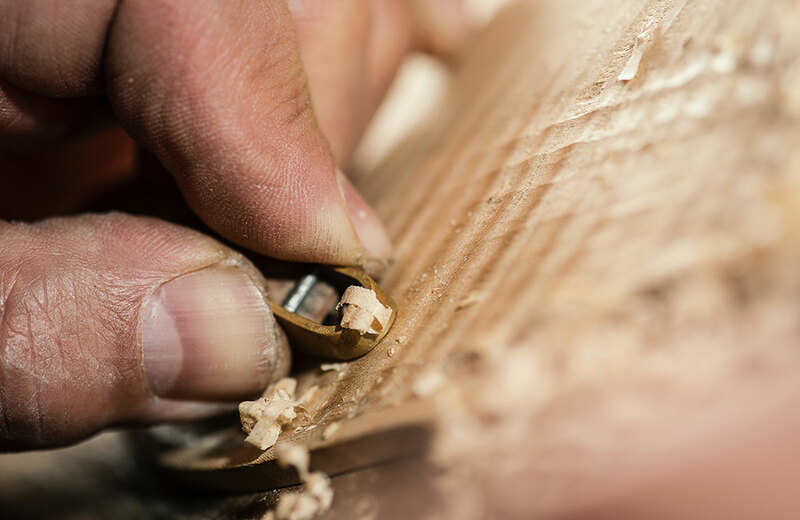 The argument that these two types of wood, which make up the bulk of any fine instrument, are the be-all to end-all in violin making is almost certainly flawed. The design and crafting of the instrument, as well as how they are played, may have conformed to the natural strengths of spruce and maple. If all a violin maker had available in northern Italy was birch and oak, might violins (as well as cellos, and violas, etc.) look a bit different and sound a bit different – and be considered the norm? That last question cannot really be answered. Suffice it to say that maple is revered for the soundpost, and spruce (in particular, European spruce or Picea abies) for the soundboard of body of the violin. In technical terms, the highest-grade violin spruce has a low density and what’s described as “a very high specific modulus of elasticity.” This amounts to “a small angle of microfibrils in cell walls, combined with a structure with a majority of axial cells, resulting in a high axial-to-shear and axial-to-transverse anisotropy (different properties that go in opposite directions),” according to a summary of research reported in the Journal of the Acoustical Society of America (“Acoustical properties of wood in string instruments soundboards and tuned idiophones: Biological and cultural diversity,” Iris Brémaud, Vol. 131, January 2012). This anisotropy affects the soundboard (spruce) vibration modes in ways that produce the sound we consider to be most desirable. The woods used by Stradivari, et al. in the 15thcentury happened to have had a climate element to them: decades of colder temperatures in Italy, Switzerland and Germany led to slower growth of the spruce trees. In particular, the woods used in Cremonese violins are believed to have superior tonal expressiveness and projection, thanks to the density of the cold-grown spruce trees. 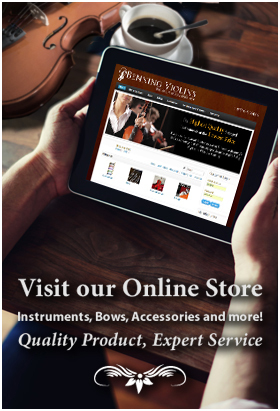 It’s the wood’s vibrational efficacy and the effective production of sound that distinguish this rare and highly valued family of violins from others.